Complete Compulsory Training Guide | Swing Big! The Complete Compulsory Training Guide is meant to be an all-encompassing plan for training gymnasts from pre-team through level 5. It contains 115 pages of ready-to-use circuits and assignments - circuits for pre-team 1 and 2, assignments for levels 3-5 – on all four events. These cover six phases which make up the year. It also includes event specific warm-ups, as well as a “how-to” guide and a few important conditioning tip sheets. 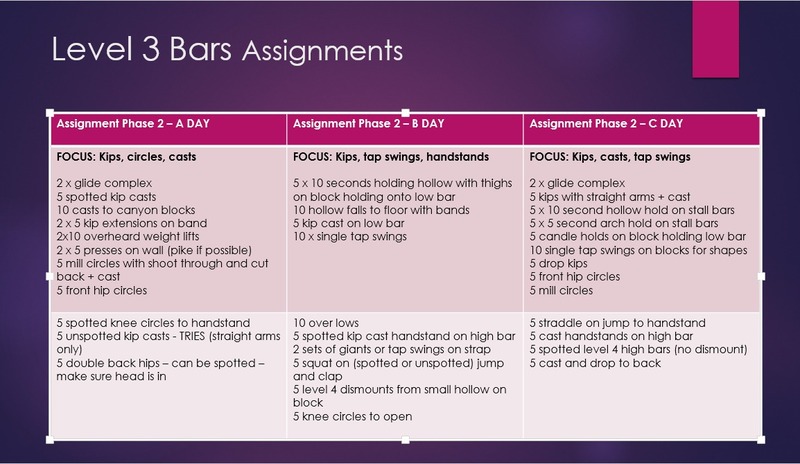 The Complete Compulsory Training Guide is meant to be an all-encompassing plan for training gymnasts from pre-team through level 5. It contains 115 pages of ready-to-use circuits and assignments - circuits for pre-team 1 and 2, assignments for levels 3-5 – on all four events. These cover six phases which make up the year. 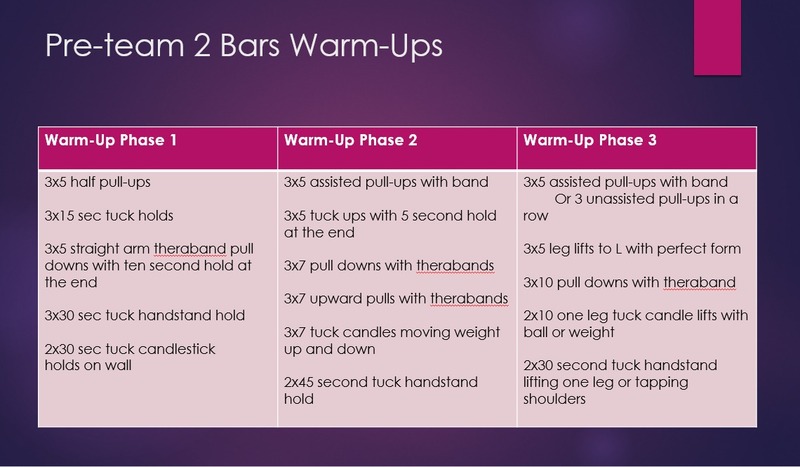 It also includes event specific warm-ups, as well as a “how-to” guide and a few important conditioning tip sheets. The most exciting part is that Complete Compulsory Guide delivers 5 videos (one for each level included) – that show the drills and progressions that may not be obvious from the guide. Together, there are more than 180 minutes of training material. This group is exclusively for those who have purchased the Complete Compulsory Training Guide (TCCTG). I will be in the group to answer any questions about the product, post videos about drills that anyone may find unclear and to help facilitate discussion about how people are using the guide and what may be the most effective. Everyone who purchases this guide will also get lifetime access to a private Facebook group – where you can ask me questions directly and talk to other coaches about lessons learned and go-forward tips. These cover 6 phases on every event (each phase lasting two months) of the following levels: pre-team 1 – pre-team 2, level 3, level 4 and level 5. In these assignments and circuits you’ll get exact numbers for how many of each you are supposed to do. An A and a B day plan (that have different focuses) and in some cases a C day plan depending on the level. This means you NEVER have to write out assignments again. Simply alternate the days – which include not only skills, but warm-ups including walks, kicks, runs, handstands etc. depending on the event and level. NOTE: All lessons are available for download, so you will get a 115 page PDF with all of the lesson plans, a Q&A, and 21 videos which each go through most of the less common drills and progressions in the assignments (divided by level and event) (over 180 minutes). With over 180 minutes of training material – these videos are divided up by level and by event so that you don’t have to watch the whole thing at once. Showing you exactly what drills are in each video.